Are you looking to download and install the game?Do you often find it difficult to beat certain parts?Would you like to play like a PRO?Would you like to get tons of resources? With our unofficial game guide we can teach you how to master the game! Do you want to install and play the game on any Phone, PC, or Tablet? This guide will also help you install on the Kindle, Kindle HD, Kindle HDX, Any Android Phone/Tablet, PC, Windows Phone, Blackberry, or iPhone/iPad. 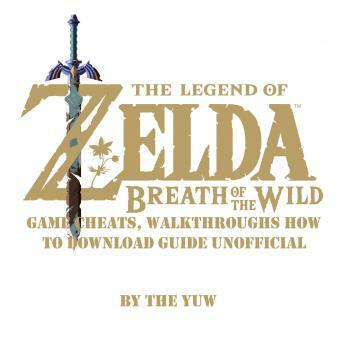 - How to Install/Download the Game.- Side Quests.- Advanced Fighting.- Weapons.- Inventory Management.- How to Cook.- How to Tame a Horse.- How to Obtain Heart Containers.- How to Get the Master Sword.- How to Get the Hylian Shield.- How to Get a Paraglider.- Buying a House.- How to Find Concealed & Hidden Items.- The Great Plateau Walkthrough.- The Lost Woods Walkthrough.- The Waterfall Treasure Walkthrough.- The Fridgid Pond Walkthrough.- Mount Hylia Walkthrough.- Forest & Hopper Pond Walkthrough.- Oman Au Shrine Walkthrough.- Ja Baij Shrine Walkthrough.- Keh Namut Shrine Walkthrough.- Owa Dam Shrine Walkthrough. Disclaimer: This guide is not associated, affiliated, or endorsed by the Games Creator and or Owner. We cannot guarantee that this specific title will be available for download on each and every platform mentioned.